Don’t have at least 20% equity in your home? Then Freddie Mac’s new program – Home Possible Advantage – could make it possible for you to refinance. If eligible, here’s your chance to lower your rates even if you have a maximum loan-to-value (LTV) ratio of 97%. 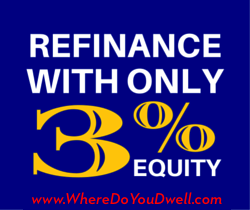 This is HUGE because previously lenders required at least 20% equity to refinance and that disqualified many homeowners. Lenders wanted to avoid having people use their homes as ATMs and wanted them to have more equity since they would be less likely to foreclose. With this new program backed by Freddie Mac, lenders in the DC metro area can now make it possible for low-to-moderate income borrowers to get a conventional loan to refinance with just 3% equity. Don’t confuse this new program with the Home Affordable Refinance Program (HARP) since it has different requirements. One major distinction is that the new Home Possible Advantage Program allows borrowers to have non-Freddie Mac or non-Fannie Mae loans. Also, this program has tougher credit standards (minimum 620 FICO) including debt-to-income ratio; requires full documentation of income from borrowers; the home must be owner-occupied; and you can’t own a second home. • Maximum 97% loan-to-value ratio. Remember your home’s LTV ratio is the mortgage amount (or balance) divided by the purchase price or current appraised value. • Income limits. Must be at or below income limits for the area your home is located OR have a home in an underserved area. 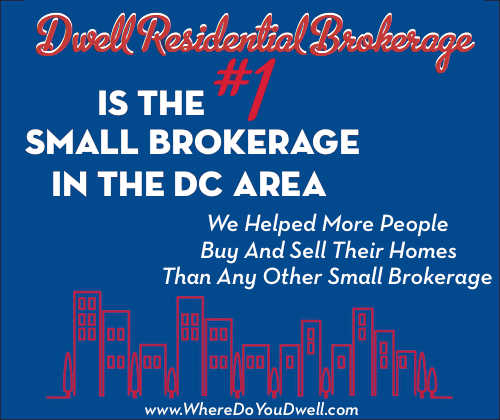 The annual income eligibility in the DC metro area averages $107,000. • “No cash out” refinance loan (also called a rate and term refinance). So you can’t take any money from the proceeds for remodeling or repairs. Basically the loan balance remains the same. • Property restrictions. Only covers a 1-unit home, condo or PUD. • Loan Terms. 15, 20, or 30 year fixed-rate mortgage. • Loan amount. $417,000 or less. Let us know if you have any questions on the Home Possible Advantage Program.